Hi, my name is Sofia. I’m an English major and a Junior at Loyola University Chicago. This fall semester I will be crossing the pond for an exciting study abroad experience in London, England. I want to break out of my comfort zone and challenge the way I see the world. I look forward to sharing my adventures with you. There is something satisfactory about finally finishing packing for a trip. The feeling that you can check something off your list and it’s done. For some, they try to put it off as long as they can because they truly hate packing (me) or their packing is done a week before their trip. The one thing I have learned while studying abroad is packing efficiently. My family and friends are shocked that I have learned to not over pack, but when European dimensions are very constricting and very expensive to check a bag, the college student in you decides it’s time to pack a carry-on. It’s all fun and games until you have to haul your bag over your shoulder through the airport at an unamusing time in the morning or night. That is why I opted for a backpacking backpack and have 10 tips to help you pack. If you are HESITATING to pack something, don’t do it. Hesitation is reason enough that you do not need to bring it. Keep your outfits as INTERCHANGEABLE as possible. When traveling to a colder place it’s harder to pack light because sweaters can take up so much room, but if you can mix one or two pieces of your outfit, you’re golden. ROLL, don’t fold. I cannot stress enough how much room this saves you, especially when it comes to jeans. Cut the FOOTWEAR. Try to wear your heaviest shoes to avoid putting them in your bag, giving your bag extra weight. LAY OUT all the clothes you want to take before packing. Seeing everything laid out before you will keep you from over packing. Leave SPACE in your bag for souvenirs. You’ll buy things, it’ll happen so leave space in your bag so you won’t overstuff it. Pack a few granola bars or SNACKS just in case. When you’re flying at odd times of the day it’s hard to get food right when you’re hungry, so pack some snacks just in case! They don’t take up much room and you’ll thank me later. Travel size EVERYTHING. You don’t need a week’s worth of shampoo for a 3-day trip so consolidate your toiletries to smaller sizes, thus giving more room in your bag. Convert your cash BEFORE traveling. The airport charges horrible rates for converting currency at the airport so to save the hassle do it before. When in doubt SHOP. Don’t worry if you forget something because chances are you’ll be able to find it where you are going. I spent my 10-day long fall break in Spain and I couldn’t have asked for a better week. I flew from London to Madrid to meet up with a few friends who are studying in Madrid, then flew to Barcelona, then back to London. So, in one week, I took 3 plane rides. I was excited to spend my fall break in Spain not only to see my friends but to experience Spain’s culture. Coming from a partially Hispanic background, I have grown up around Spanish (more specifically Puerto Rican culture) but I am by no means fluent. I can understand simple phrases, which after spending a week in Spain I am thankful for. Throughout the week I would message my mom asking what certain words were and how to say certain phrases (so shout out to my mom for being a lifesaver). In Madrid, there were very few people who spoke English but the people were very nice. I enjoyed the feeling in Madrid- and I’m not talking about just the warm weather and sunshine. After studying in London, I could vaguely recall what the sun looked like which isn’t very different from when I live in Chicago. Barcelona was different. It was beautiful but even fewer people spoke English than in Madrid. Although it was difficult at times, it was a great way to fully immerse myself. Upon arriving in Barcelona, Ally and I had to figure out how to get to our Airbnb. While the Airbnb lady had left us directions to get from the airport to the place, we frantically searched the map and could not find the directions she had told us. After asking different people with what little Spanish I knew we finally found the metro and someone to help us buy the tickets to get to the place. We got on the metro and followed the directions, until maps took us to the wrong building. With Whatsapp not connecting to contact the Airbnb owner and us being sleep deprived, it was not a good mix. Three hours later we made it to our Airbnb and went to a restaurant where they spoke no English. With the help of Google translate, my limited (very limited) Spanish, and photos of their food they had we managed to order our dinner which turned out to be amazing. My week in Spain was amazing and I gained a new respect for another culture and language. The language barrier at times was difficult but definitely added to the experience. 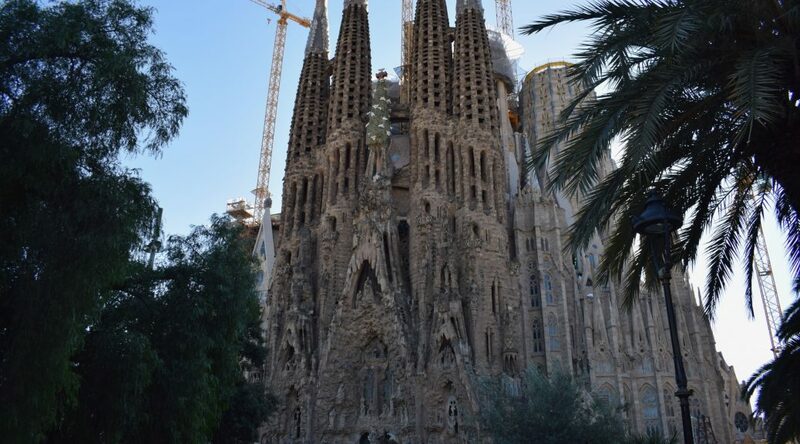 I will never forget visiting the Sagrada Familia in Barcelona and the San Miguel Market in Madrid. The leaves have started changing color here and you can find me drinking, no not tea, but instant coffee. Yes, the locals might be ashamed of me that I don’t drink tea but I don’t think anyone has caught on to me yet. Fun fact, the public transportation system is entirely different from the crazy L train in Chicago. The Tube is quiet, yes, I really mean quiet and if someone is having a conversation they’re talking in hushed tone. So, if you’re on the Tube and you’re talking extremely loudly expect to get some dirty looks thrown at you or at least a sideways glance. On the plus side, I’d like to think I’m blending in because I get asked for directions. I’ve also probably directed people the total opposite way, but hey that’s okay. Also, don’t forget to tap your oyster when leaving the Tube because that will get you some dirty looks for holding up the exit and a very embarrassing experience. 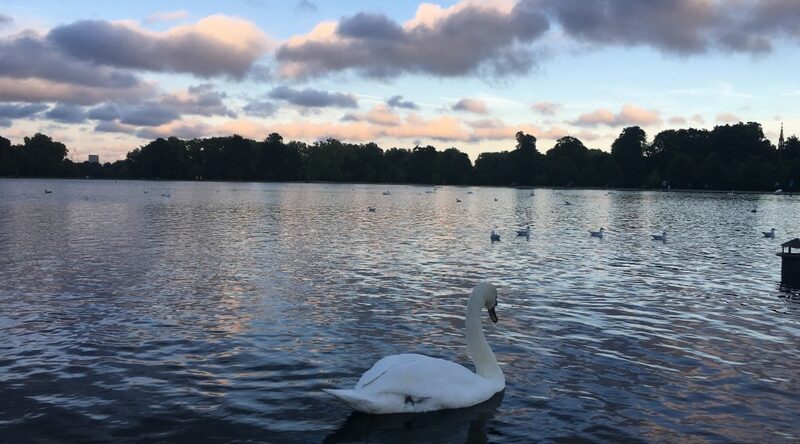 If you decide to take a walk through the beautiful Kensington Gardens, watch out for the birds. The swans and geese swimming in the pond are stunning, until they decide to attack. A flock of pigeons almost took me down after my run and I seemed to be the only person fazed. Kensington Gardens is beautiful in the fall with all the leaves changing color so it is definitely a must see, especially with Kensington Palace attached to it where William and Kate live (no sightings of them yet unfortunately). If you’re told to “queue up” they’re not talking about your Netflix queue they’re asking you to line up. As much as I’ve tried to blend in they definitely know the Americans from the locals and there is nothing wrong with that! Just remember to stay in hushed tones on the Tube and watch out for the birds and you’ll be okay. If I could give one piece of advice to someone abroad traveling on the weekends it would be to not expect your travel plans to go perfectly 100% of the time. Sounds a little grim, I know but trust me, it happens and when you’re staying a hostel and the Wi-Fi doesn’t really work and you’re trying to message your mom not really freaking out, it happens. I’d like to think somewhere along the lines in my planning I went wrong but I didn’t, the travel gods just had other plans for me. It’s not like we didn’t make it to our flight on time or our flight got delayed, all of that went perfectly fine. It was arriving in Edinburgh, Scotland sleep deprived and only being there for an hour when our flight back got cancelled. 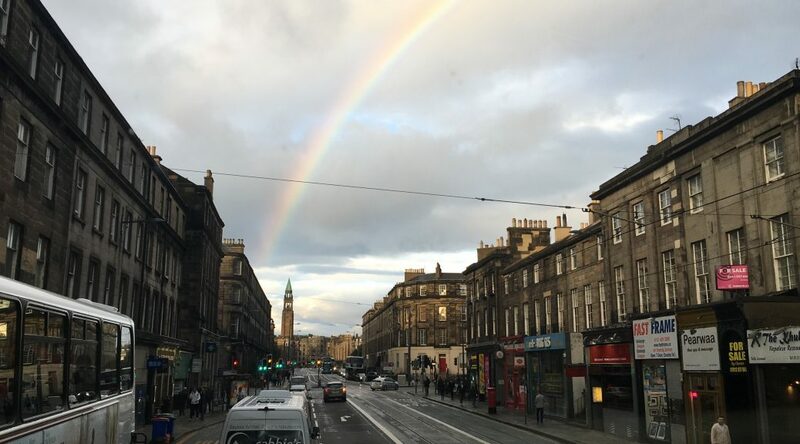 To be fair our arrival in Scotland was accompanied by a rainbow but for whatever reason we were not going to be lucky. For what reason did the airline give us that our flight got cancelled? They didn’t give one. I’d like to say getting the full refund was pretty nice but when you only paid 16 pounds for your return flight, you would rather just cut your losses. (Although I did take the refund because college) So we get to our hostel, we check in, and start scrambling to find a way home and of course the Wi-Fi isn’t working. We checked every airline for a flight back Sunday night or Monday morning because I scheduled a class on a Monday. After every airline was checked and they broke my heart by telling me there were no available flights I thought this is it, I’ll never make it back to London. I’d like to point out that my sleep deprivation kept me a little calmer then I normally would’ve been in this kind of circumstance. We looked at every transportation alternative and it got to the point that my friend said, “You look for food and I’ll try and find us a way home.” Bless the transportation system from Scotland to London because we found one. To make this train though, we were going to have to get up at 3am Monday morning. After calling the train station and having some firm words, we were able to get on at a closer stop and were rewarded two more hours of sleep. 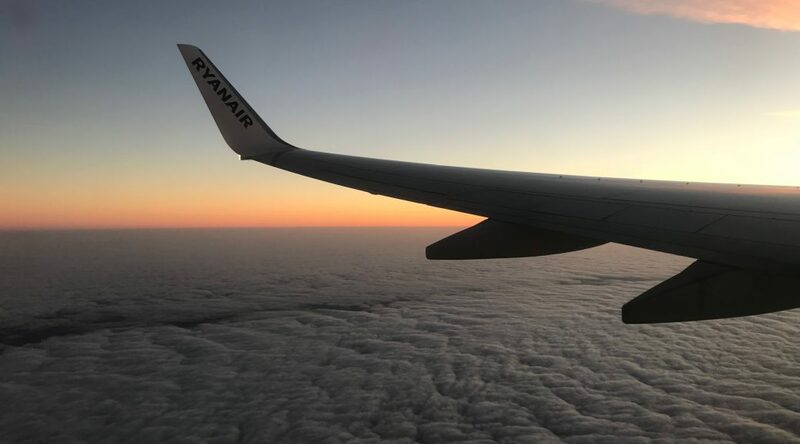 I’m not trying to say that your travels won’t go well or that it’s all doomed, all I’m saying is that if something does happen that it is fixable and you’ll look back on the experience and laugh (although I wouldn’t have minded being stuck in Scotland). This small mishap didn’t ruin our trip one bit and I highly recommend going to Edinburgh, Scotland but every transportation system did have it out for us that weekend. Count your transportation blessings and three cheers for coffee.